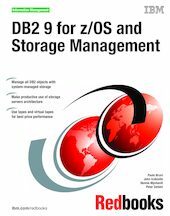 This IBM® Redbooks® publication can help you tailor and configure DFSMS constructs to be used in an IBM DB2® 9 for z/OS® environment. In addition, it provides a broad understanding of new disk architectures and their impact in DB2 data set management for large installations. This book addresses both the DB2 administrator and the storage administrator. The DB2 administrator can find information about how to use DFSMS for managing DB2 data sets; the storage administrator can find information about the characteristics of DB2 data sets and how DB2 uses the disks. This book describes optimal use of disk storage functions in DB2 for z/OS environments that can best make productive use of the synergy with I/O subsystem on IBM System z®.